Prima, the company behind the official game guide for Elder Scrolls V: Skyrim, has released another tool to guide players in their adventures through the Frozen North. 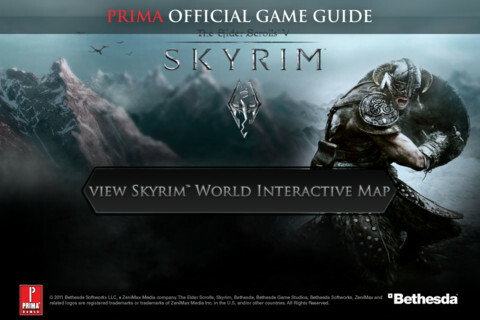 The Elder Scrolls V: Skyrim Official World Interactive Map is free to download through the US App Store. The app provides you with the full world map from the game. You can zoom up as close as 3200% to see all of the little terrain details. There's also a search function to allow you to find particular spots more easily. You can add pins to the map as well to mark your own points of interest. 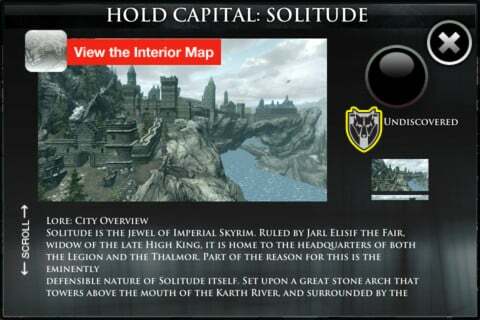 The map also features profiles on each of the nine capital cities in the province of Skyrim. Clicking on a city will bring up a brief description as well as a list of quests, collectibles, and services located there. 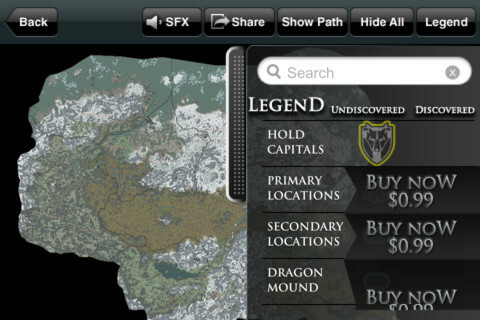 If you want the app to be a more robust guide to Skyrim, you can purchase additional add-ons. For example, you can pay $0.99 to see the locations of all the recruitable followers in the game. Prima says that there are "160 interior maps, 350 primary locations, 200 secondary locations and over 1,000 points of interest" that can be unlocked through purchases. 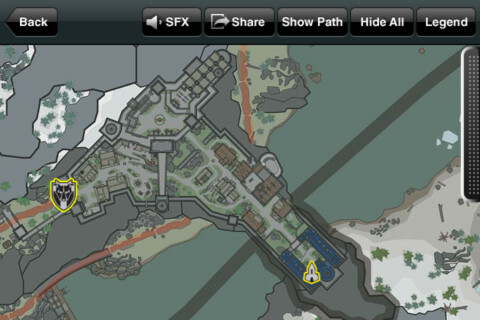 A few screenshots of the interactive map are below. If you want to download the app and give it a whirl, you can find it here.